The aim of this web page is to present and give information about the Karma Kagyu school of Diamond way Buddhism. This page does not pursue any commercial purposes and is free to be accessed by anybody interested. The content of this page is compiled by unpaid volunteers. 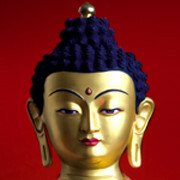 Diamond way Buddhism Association is the publisher and owner of all the rights. Everything mentioned on this page is the property of the Association of Diamond way Buddhism Karma Kagyu or is used with the permission of the owners involved. Everyone is allowed to view the content of these pages on–line and use it for their own personal purposes. Any other use (analogue or digital reproduction and so on) requires the written permission of the publisher. Clarification: In most cases we do not object to the use of anything contained on this page. Nevertheless, you have to ask for permission because we do not own some parts of the pages (mostly pictures). Using them requires permission which we can not give – that is the right of their owner. As beginners, we must analyze our present state of mind and realize that it is deluded.